You accept that climate change is caused by human activity? Do you support the target to achieve 15% renewable energy by 2020? Do you support the EU imposing tougher regulation to combat climate change? Hardly the worst questions a campaigner will receive. In my brief time working in politics both as an elected representative myself and for MEPs and MPs, I have seen some disturbing correspondence. I have seen candidates shouted down in roomsful of people who have nothing in common with my guy. I have opened scary letters from people who are plainly mentally ill, and been briefed by Special Branch on what to do with suspect packages. During the time I worked for Nick Clegg MEP, Elspeth Attwooll MEP’s office received dangerous acids disguised as cosmetic samples. And let us not forget what happened in Nigel Jones’s office in 2000. And of course as every elected representative does, I’ve seen mountains of postcard campaigns and boilerplate letters from all sorts of different special interest groups, some of them alarmingly specific. Clearly, you have to decide if and how to respond to each different campaign, judging each on its merits. You can choose to answer. You can write a boilerplate response or find one from party colleagues. You can go the whole gamut from ignoring it to filing it carefully in a database and routinely mailing the correspondent with the latest update on the issue in question. Posting the name and address of your correspondent on a national newspaper’s blog so that the readers think it’s time to set off a harassment campaign? Maybe not so much. Good morning, and welcome to Daily View this morning. 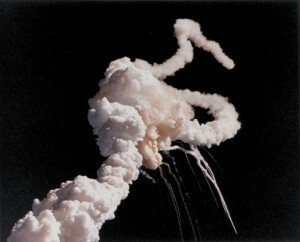 24 years ago, 28 January saw the NASA Challenger disaster. 197 years ago today saw the first publication of Pride and Prejudice and in 1958, Lego bricks were first patented. Today’s bricks still mesh with the original 1958 system. Birthday bunny hops today go to novelist David Lodge and hobbit-actor Elijah Wood. Over to the Guardian for today’s first story. In direct contradiction to his manifesto, Boris Johnson has decided he doesn’t have time to be a writer, a mayor, and a Police Authority chair, and so something had to give. Tory Troll has a bunch of handy quotes and links on the story. That sounds familiar, I thought, when I read the headline. Turns out the Labour party has borrowed one or two pages out of Lib Dem early years policy. This is not a fact mentioned in the Telegraph reporting of same story. The trouble is [Labour] have […] thrown millions of pounds at the problem, almost scatter cushion like, without going to the fundamental issues that drive poverty and curse many born into poverty. And coupled with new labours conservative approach to personal taxation, especially in their first Blair Parliament from ‘97, they have undermined their own ambitions to deal with poverty. Spotted any other great posts in the last day from blogs that aren’t on the aggregator? Do post up a comment sharing them with us all. And now? Back to hunting for P60s.